Teeth were made to chew our food so our bodies can more readily digest the nutrients in food. Every time we eat or drink, our teeth are exposed to sugars and acids from food and drinks. Even if you limit your intake of “sugar”, ie sweet or sticky foods, most food contains natural sugars that have the same damaging effect on your teeth as “sugar”. Sugars and acids in saliva cause acid wear on the enamel of your teeth. This thins the enamel and weakens it. Acid wear will eventually penetrate the enamel and cause a hole, known as a “pit”, in your tooth. This pit spreads to become tooth decay, and if left unchecked will develop as a cavity in your tooth. This means it’s important to maintain good oral hygiene habits to protect your teeth from the damaging effects of sugars and acid, and to keep your teeth healthy. This includes proper brushing and flossing twice daily with a toothpaste containing fluoride. It’s important to brush thoroughly and correctly to remove all plaque from teeth. 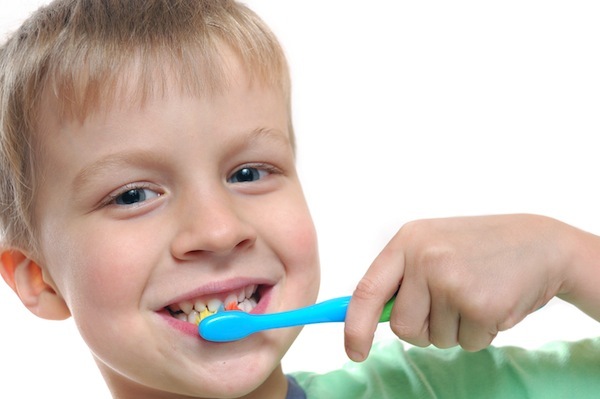 Brush in small, gentle, circular motions from the tooth to the gum line. Each tooth should be brushed for five seconds and on all surfaced of the tooth. It’s common to focus on the front surface of the tooth as the front is easy to reach, however it’s also very important to thoroughly brush behind the teeth as plaque can easily build up. Use a soft brush to minimise sensitivity, as acid wear on teeth can cause teeth to be incredibly sensitive when brushing. Flossing daily is also important as it removes food particles from between the teeth surfaces. The areas between the teeth are at special risk of decay, as brushing can’t usually reach these areas. Remember also to schedule regular dental check-ups to identify and correct any problems quickly.